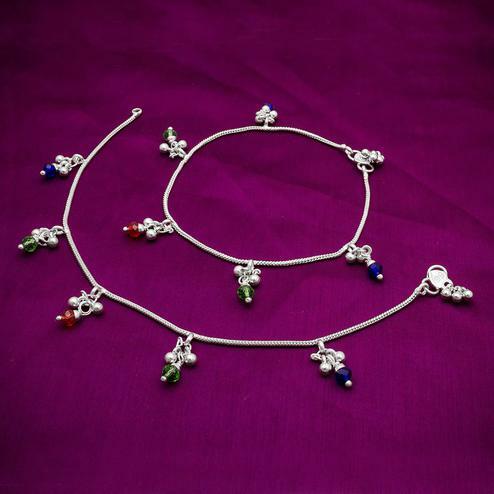 Get the simplicity and grace with this blissful silver colored anklet set. 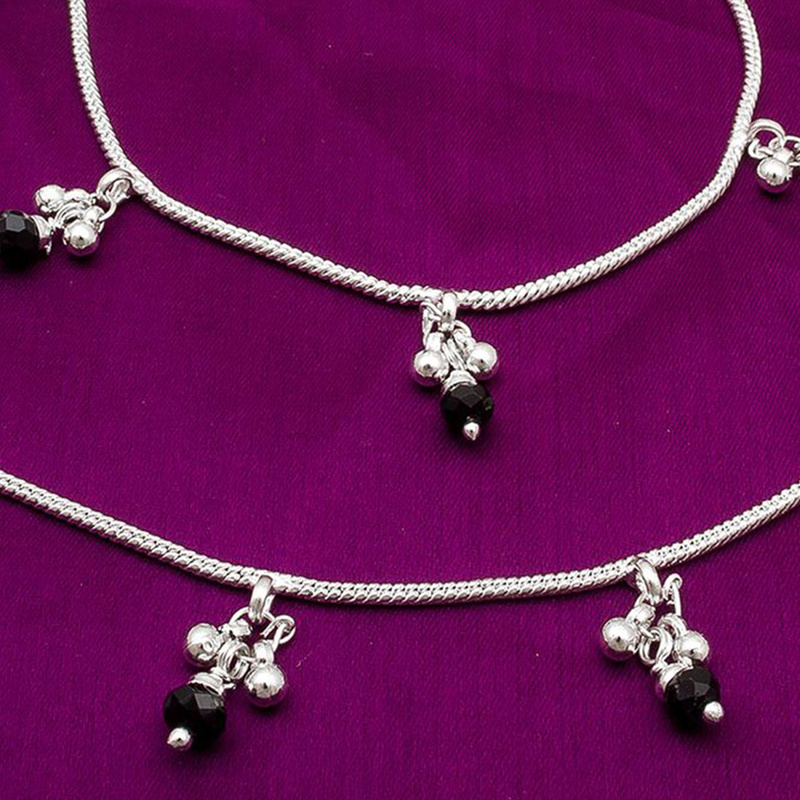 It is made with mix metal with lovely hangings all over. Pair these up with ethnic attire. Ideal for festivals, casual outing, parties and social get together. 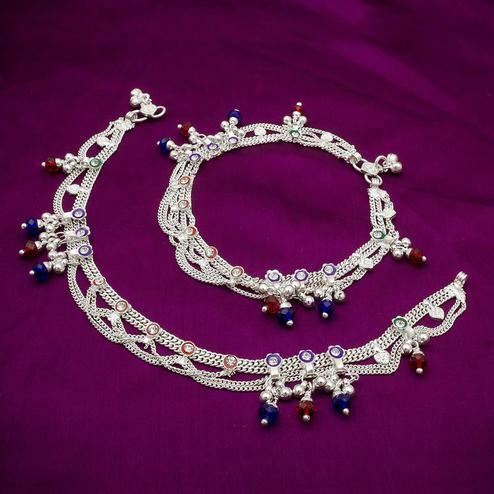 This pretty set will give an elegant look to your feet. Buy now.